Casio’s Android handsets tend to be rugged which is great for people who lead rugged lives. 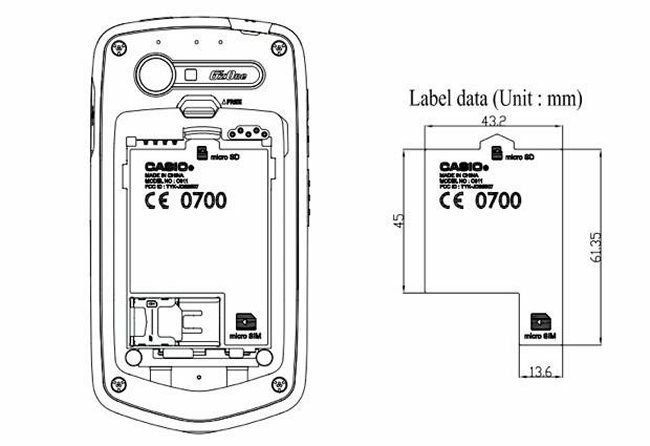 If that sounds like you, you might be interested in the latest Casio handset spotted at the FCC. Some are speculating that this could be the next-gen G’zOne with the model number C811. The full specs of the device are a mystery, but we do know it will have features like 4G LTE that is compatible with Verizon’s network, along with NFC support. If that turns out to be true, this might be one of the Isis-compatible handsets that Verizon may announce on Monday. We will have to wait and see. We should get more details very soon and when we do we will let you know.